Posts by " crusa "
Household appliances are important and necessary if you wish to maximize the functionality of your home. A life made easy does not have to be a thing of the past. With society being so technologically advanced, it is only right to learn about the newest and latest household appliances that are available to you. The large inventory of home improvement products are endless at Construction Resources. No matter your lifestyle, you can get the most out of your home with these incredible and extremely convenient home appliances. Follow along with us to learn about the top products of 2019. At Construction Resources, we have many different stainless steel refrigerator options that will improve the functionality of your kitchen. We offer counter depth, energy star certified products, and rebates. When you choose us, you will get an energy efficient product that will last your a long time with the right care and maintenance. Our appliances can save you a lot of time & money. Some of the refrigerator options that we offer are Side-by-side Refrigerators, French Door Refrigerators, Specialty Refrigerators, and more. If you are looking to improve the performance and functionality of your kitchen then dishwashers are the way to go. Our exclusive stainless steel dishwashers are of the highest-quality. The evolving technology allows our dishwashers to get the job done quite fast. You will no longer have to worry about washing your dishes after a delicious meal. All you have to do is load the dishwasher and let this super convenient appliance do the job for you. We have built in dishwashers and portable dishwashers for you to choose from. A portable dishwasher has more things in common with a built in than people may realize. Portable dishwashers offer benefits like multipurpose tops which may be used for preparing food or storage. This type of dishwasher can leave you more room to install other appliances. They can also be used in most households. Portable dishwashers also clean quite easily and can last a long time. Don’t worry about packing, these islands are close by! In fact, they can be found right inside your very home! Today we are sharing several ways you can add islands to your home! 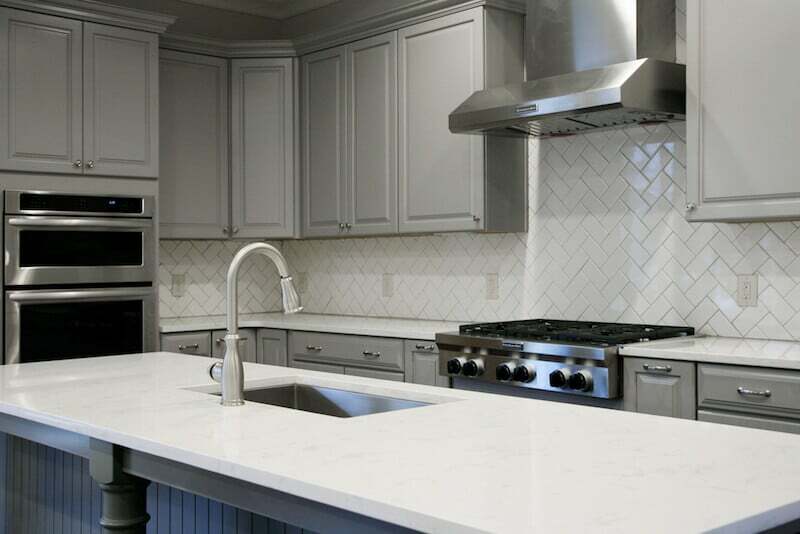 We all should know of this location for an island, but did you know there are several different shapes of islands you can add to your kitchen. The traditional square and rectangle designs work great for any space, but you can really set your home apart from your friends and neighbors with a uniquely shaped island. 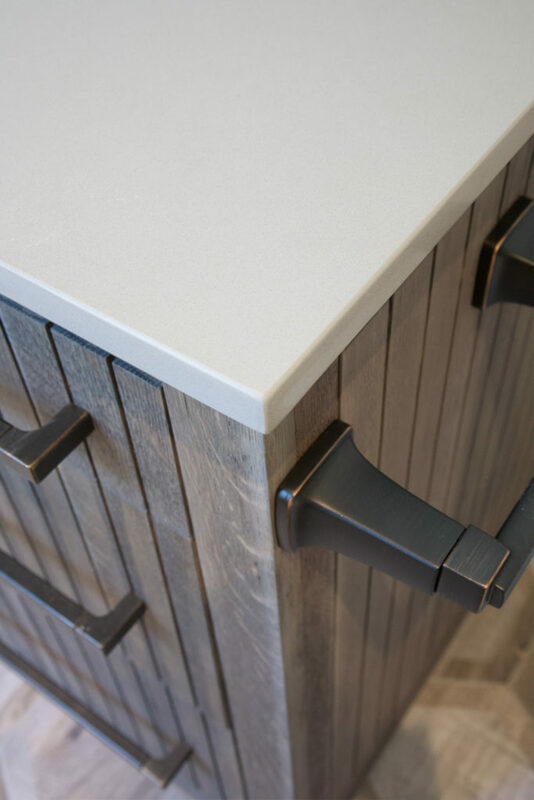 The truth is, there are many different island countertop options out there and we can help yo u find the perfect one for your particular taste and lifestyle! While there are several more unique shapes of islands you can have in a kitchen, the three listed above are highly popular as they are used to add storage, and to create an ‘eat-in’ kitchen atmosphere. 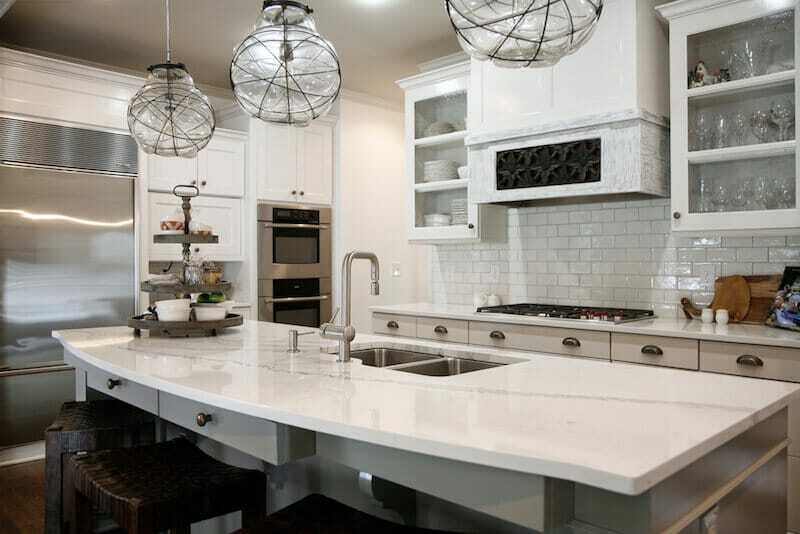 Make your kitchen the room your family gathers to by adding a uniquely shaped kitchen island with Construction Resources‘ family of businesses. An island in a bathroom you may ask and we say YES! They are super functional and can turn your bathroom into the spa oasis you have always wanted. 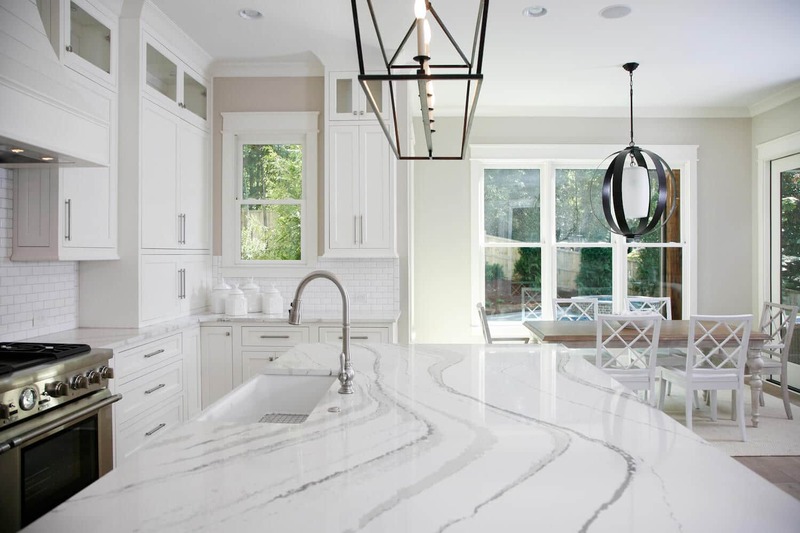 Find a high-quality island countertop with us! If you or your loved one is fashion savvy, then a closet island is a must-have! Turn your boring closet into a fashionista’s dream by adding storage, organization, and functionality by adding a countertop island to your space. Continuing with the clothes theme, a laundry room is another great space that is perfect for an island! If you have a top loading washer and dryer and can’t have the luxury of adding a countertop on top of them for a folding space, then an island is your solution! Add drawers, laundry baskets, and even drying racks for the ultimate laundry room island! Last, but certainly not least, lets head outdoors because our next island destination could be found right in your backyard! Give the grill master in your home his dream outdoor kitchen with the addition of an island! 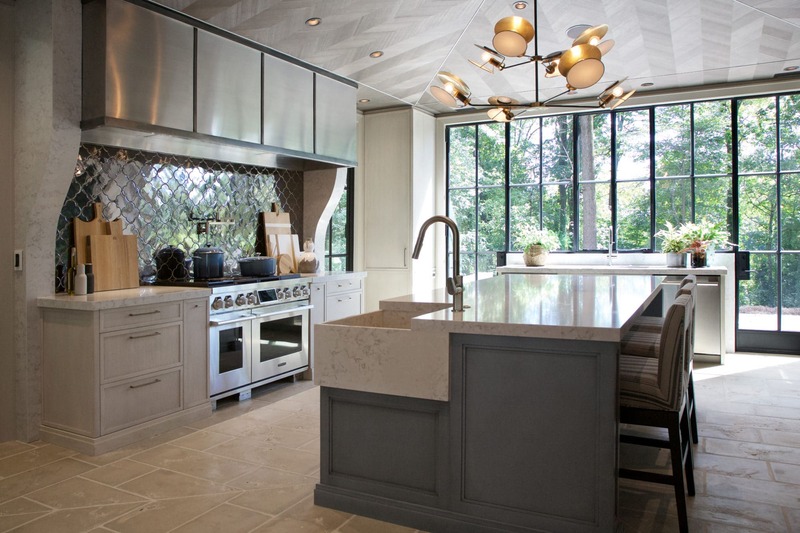 After-all kitchens and islands go hand in hand. Add cabinets, bins, drawers, and even a cooler into your island to make your backyard the summer destination! By adding bar stools and a couple of place setting and you have now created a great gathering and eating destination for your outdoor kitchen. An island in for your outdoor kitchen is also a great way to add appliances to your space. Under the counter refrigeration, warming drawers, and more are just a few great ways to add convenient appliances to your island. Click here to shop for appliances for your space! Ready to add an island to your space! Click here to find a location near you! 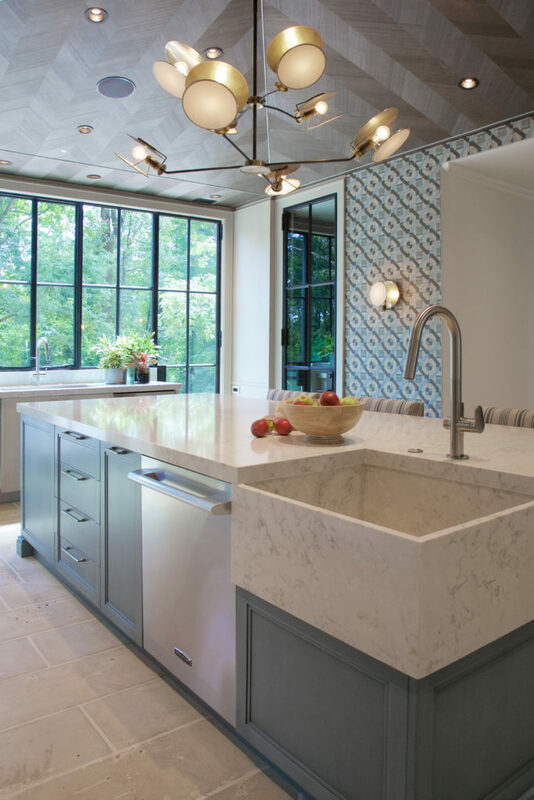 Be sure to visit our blog for more design trends and design tips! The Christmas and New Year holidays center around friend and family gatherings which typically means lots of food and drink. Here are three of our favorite recipes to get you through the season. Whether you need an easy potluck dish or are cooking for a group these are fun and tasty additions to any menu. A spin on traditional caprese, red and green ingredients easily give this starter dish a festive feel. The addition of tortellini adds a little more substance to keep guests tied over for the main course. Serve these with red wine for the perfect pairing. With a dash of hot sauce and a homemade substitution for the usual canned cream of chicken soup, this chicken casserole will certainly be a crowd pleaser. Its easy prep will leave you time to socialize while it bakes and the aroma fills the air. A different take on the classic Rice Krispie treats, this dessert is simple and adorable. The recipe can be made well ahead of time and makes for a great presentation at any holiday party. The season of family gatherings around the table is upon us that is why making sure that you have the necessary kitchen appliances is so important for the holidays! As you prepare for your family meals you should also prepare your workspace. 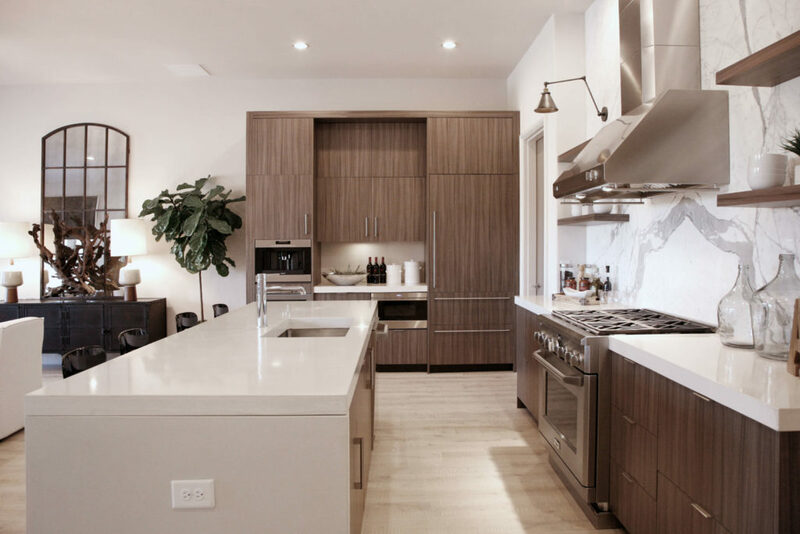 Make cooking your holiday feast a breeze this year with new smart appliances from Construction Resources’ family of businesses. Don’t know where to start? We are rounding up the most popular appliances for families that love to entertain. Dishwasher drawer, need I say more? Add a drawer that loves to do the dishes in your kitchen for those small loads that need to be tackled before your gathering. Not only is this drawer your handy helper for your most precious entertaining pieces, but it is also your beverage helper! Fully insulated in stainless steel this drawer can double as an ice bucket! Simply remove the culinary basket and dish rack, and you now have a place for all of your party beverages! Get the best of both worlds with this smart appliance and add a Dishwasher Drawer to your home! Click here to shop our collection of dishwasher drawers. Cook it all, all at once with this double wall oven featuring a commercial style rotisserie from Thermador. With 16 cooking modes and a built-in rotisserie, this wall oven sure is a double feature! Click here to browse double wall ovens from Thermador. Have coffee lovers in your family? Go beyond the standard cup of joe with the Bosch connected coffee machine! With smart capabilities, you can choose from a wide variety of customizable coffee and tea drinks, or take a tour around the world by trying exclusive Bosch CoffeeWorld beverages. With a touch of a button, you can have a crafted beverage in no time. Click here to add a Bosch connected coffee machine to your kitchen. For all of your home and kitchen appliances, visit us at one of our many showrooms this holiday season. Contact us today by calling (404) 378-3132.